We work with Chris and his team at ByCycle to provide regular, free bicycle check-ups. Dr Bike are experienced mechanics who carry out bicycle maintenance, repairs, adjustments and safety checks. Dr Bike checks and minor adjustments are completely free. Additional work will be quoted individually but will always be at a special University of Kent reduced rate. Find Dr Bike at the Cycle Hub by the Pavilion every Wednesday during term-time 8.30-15.30. ByCycle also provide the affordable cycle hire scheme at Canterbury. There are still some bicycles available to hire. If you are interested in hiring a bike visit the Cycle Hub on Wednesdays 8.30-15.30. These are first come first serve. Hire a bike for £40 per term, which includes lights, a bell and a lock. You need to leave a security deposit of £60 which will be refunded when you return the bike in good condition. Learn more about Dr Bike and cycle hire. 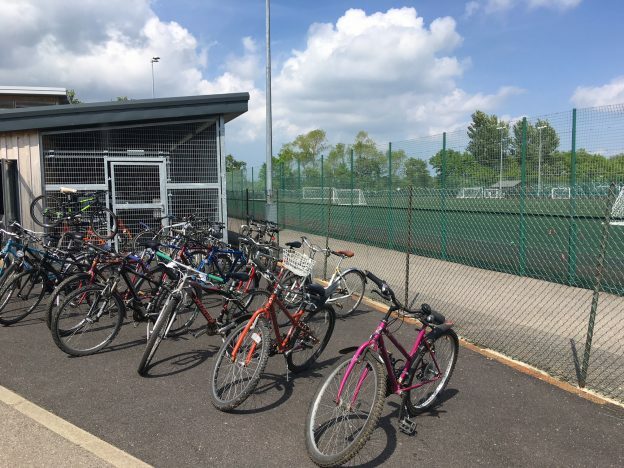 This entry was posted in News and tagged bicycle check-up, canterbury cycle hire, Dr Bike on January 21, 2019 by Miriam Sandiford.